As the Renault Koleos drove away and HJ manoeuvred his new Peugeot 3008 into its former parking place, he felt a pang as if a part of him had been torn away. The Koleos had originally been a distress acquisition, but its enduring qualities made it HJ’s favourite long-term test car so far. HJ ponders why people pay £10,000 to £20,000 more for an SUV that is no better and probably quite a lot worse than his £33,000 Renault Koleos. 10 September 2018: HJ gets his Renault Koleos involved in some dirty business. How do turn a posh SUV into a truck capable of carrying wet and muddy garden waste to the tip without making a mess of the car? HJ finds that even in a big, fat 4x4 SUV he can put a bit of sunshine into his life. After clocking up another 2,500 pleasantly uneventful miles, HJ’s Koleos has been on standby for much of the last month. A report of the mystery early service on HJ’s Koleos. And how the state of the roads after March snow and ice posed no problems to its 225/60 R18 Kumho Crugen tyres. HJ just happens to find an extraordinary road across the moors where his long-term Koleos 4WD comes into its own. 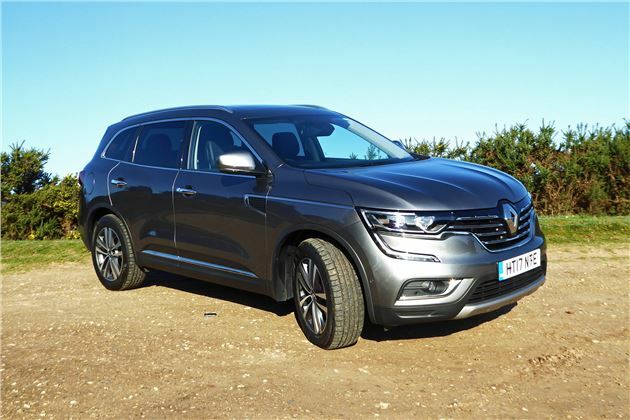 HJ talks about value for money, seat comfort, cold weather kit and the truly brilliant real-time R-Link satnav over another 1,500 miles in his Renault Koleos 4x4. HJ takes his Koleos to and from Northumberland, uses it as a van, then drives to and from North Wales tackling all weathers.